The student should be of the minimum age of 5 years old. In the initial first months of karate, it is recommended that all students wear loose fitting clothing such as tracksuit bottoms or shorts and tee shirts. Training is done in bare feet so trainers are not required. After a month or so of initial training, students may wish to purchase a karate uniform or GI. The uniforms can be obtained by the club instructor by filling in an order form. Shotokan karate is a martial art system of self-defence which uses primarily punching and kicking techniques but also has diverse techniques ranging from elbow to open hand strikes to locks, holds and even throws and takedowns. 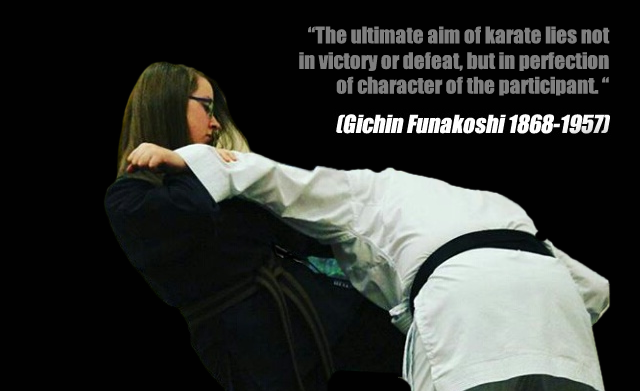 These are the techniques which form the basis of karate training and can be performed as a single technique or as a combination. Techniques performed in a pre-set pattern. Katas can be a solo exercise but the application contained in kata is called bunkai. 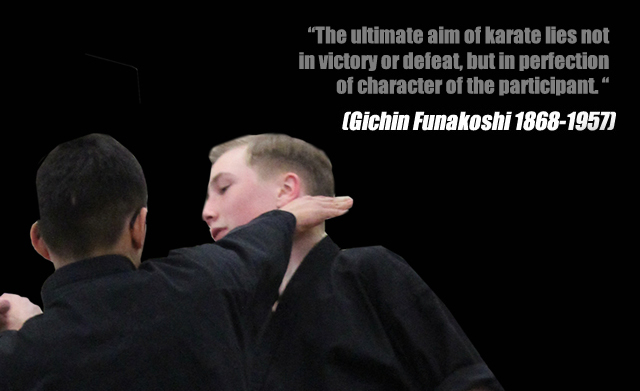 Techniques performed with a partner or group in either a self-defence situation or in a competitive environment.